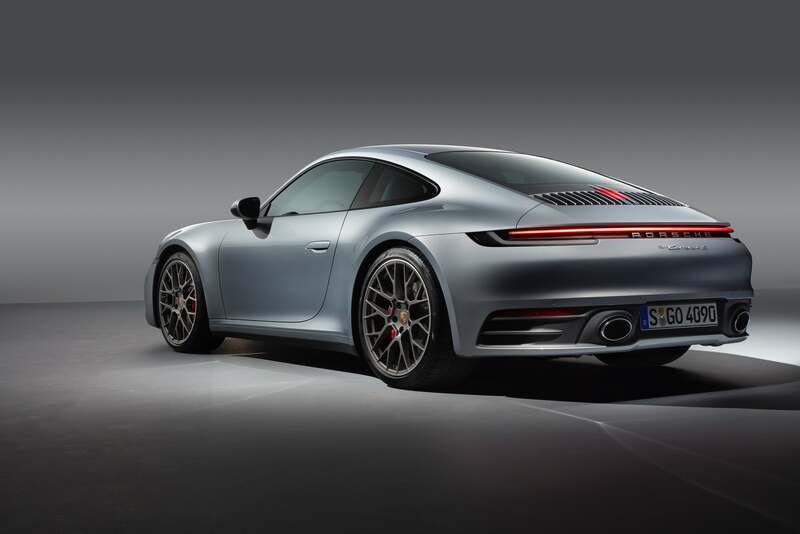 The New 992 Porsche 911 – Revolution or Evolution? 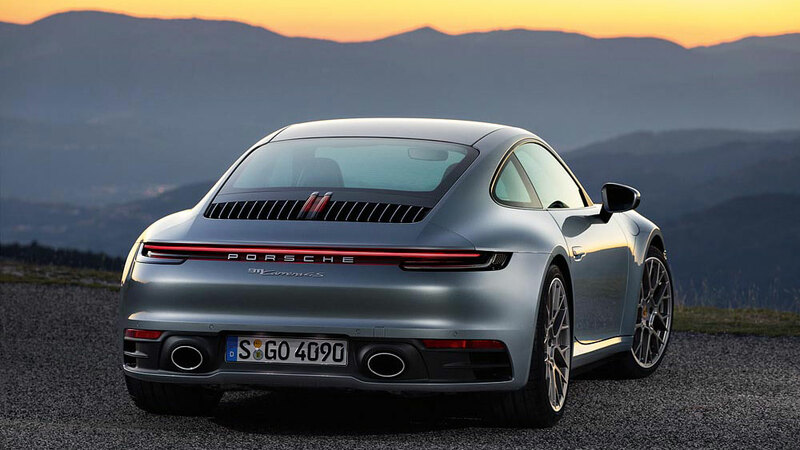 As with arguably all of the 911 iterations, the new 992 version is without question more evolution than revolution. 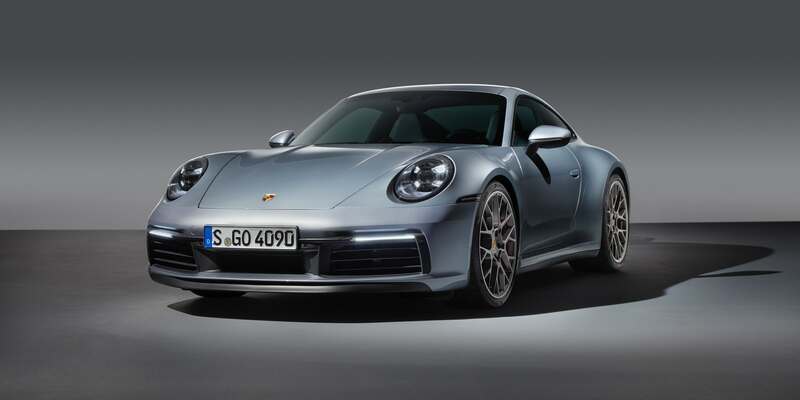 No doubt the Porsche purists who had just come to terms with the turbocharging of their beloved 911, will have many reasons why this car is somehow a distant cousin of the devil. 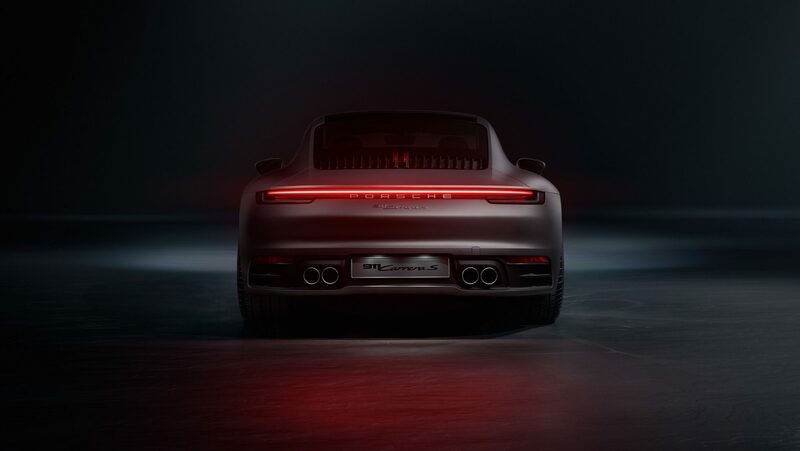 Give it a few months however and it will no doubt covert the same protection and fandom as every other 911 to date. I will conceive on first impression of the front and side profile, you’d be hard pushed to defend against the argument that this 911 looks the same as the last one. 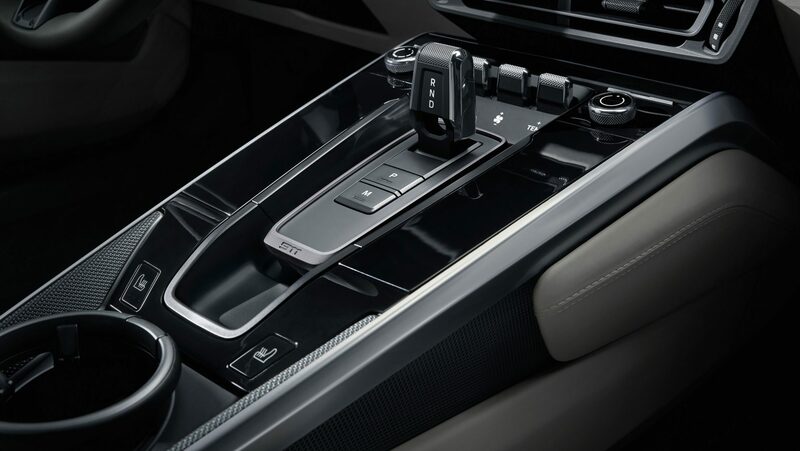 However, upon closer inspection, you’ll note a few small touches that differentiate the 992. Some of which make you question why Porsche hadn’t implemented such designs before. I am, of course, referring to the door handles. Now set back into the car, they’re a smoother less obtrusive and more modern design than the 991.2’s relatively old school approach. Up front, if you squint really hard, you’ll notice differences akin to that of the 991 GT3 and its face-lifted counterpart. It has a slightly squarer more aggressive look with sharper lines, fewer curves and larger grilles. Having the front bumper and bonnet line stop shorter underneath the headlights as opposed to halfway through them as before, is reminiscent of the 993 and is only really noticeable when you compare it side by side with the car it replaces. However, it again adds to the more aggressive aura of this car. Stepping around the back there can be no argument that the Porsche designers have actually picked up their pencils on this one. Whether they’ve been successful however, I’m not so sure. The stand out feature is the full-width lightbar which in itself isn’t particularly naff, but the vacant expanse immediately beneath it which, despite hours of combing through press photos, I still find mildly nauseating. A few Photoshop renders have surfaced with a raised numberplate which plugs the gap and looks immeasurably better. 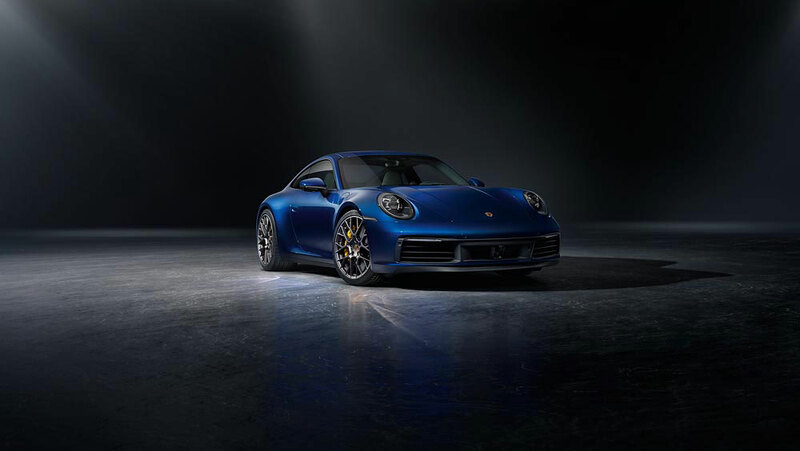 As you’d expect, the 992 is wider than the already not exactly narrow 991 by 45mm. This time though, there is no difference between C2 and C4 models; something that really irked me with the outgoing generation. The RWD cars were widely considered the better car to drive, but the narrower and therefore slightly less appealing body of the two-wheel drive cars was always a sticking point. Porsche’s answer then was to spend more on a GTS. Now, you’ll get the same beautifully flared arches across the board. Whether they’ll get wider still with the GT cars, we’ll have to wait and see. 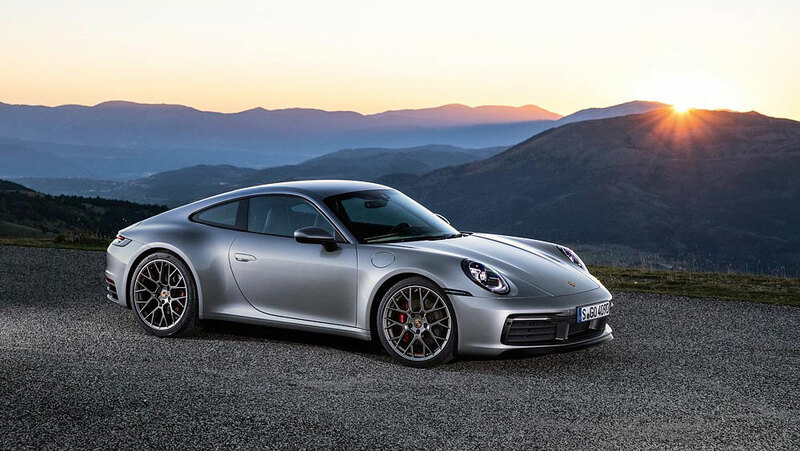 No details on the power output of the base Carrera, but the S is up 29bhp over the 991 bringing the total output of the 3.0-litre twin-turbo flat-six to 444bhp. Sent through a new eight-speed PDK, this 2WD C2S will crack 62mph in just 3.7 seconds falling to 3.6 for the 4S and a further drop to 3.4 if equipped with the Sport Chrono Pack. Top speed for the C2 and C4 is 190mph and 191mph respectively, with the manual (coming soon) sure to be a shade quicker still thanks to reduced friction losses. For those that care about MPG in there supercar fast sports car it’s more good news as the 992 will do around 31.5mpg. Inside it appears Porsche has been very busy. 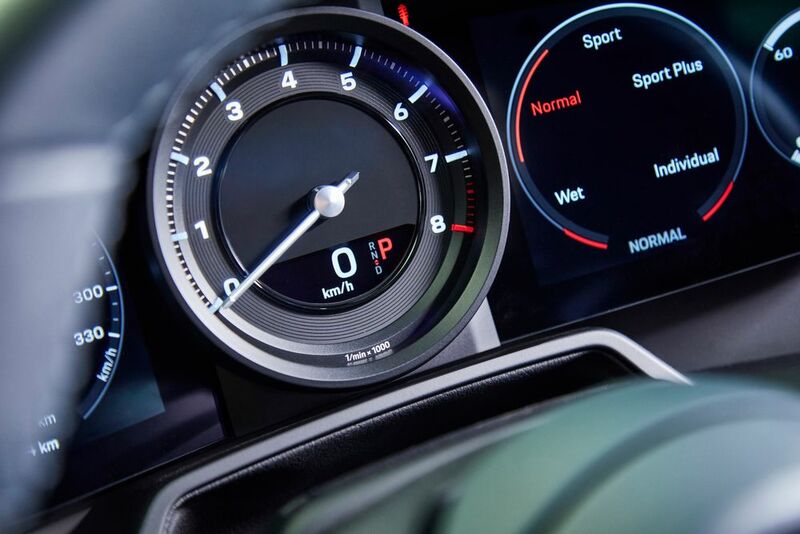 As is protocol nowadays, all infotainment screens have got bigger and yet more screens have replaced the usual array of analog dials in the instrument cluster; save for the rev counter which is frankly, gorgeous and weirdly Singer Designesque. 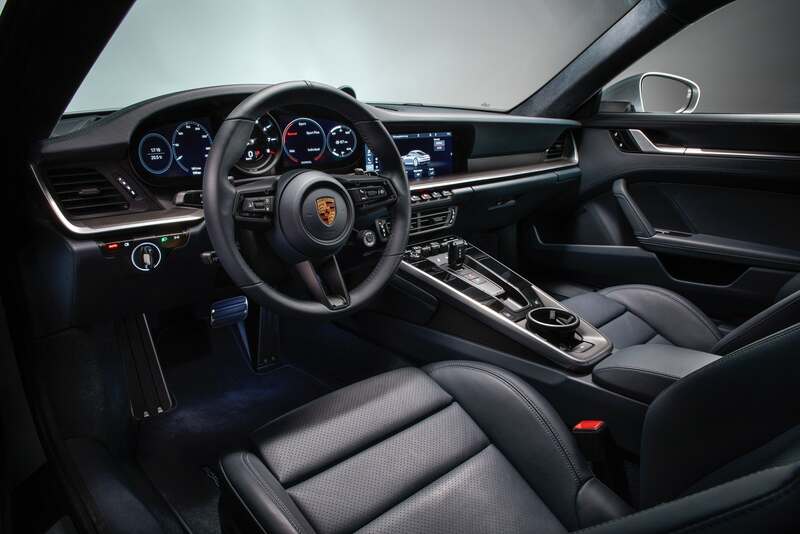 The scattering of buttons that surrounded the gear selector in the 991 have mostly all been removed and instead are now controlled via the 10.9-inch touchscreen. Other tech enhancements are unsurprisingly present including an automatic wet mode, emergency braking and a thermal imaging camera. Like the sound of all that? Even with just a few options prices are around £100k. 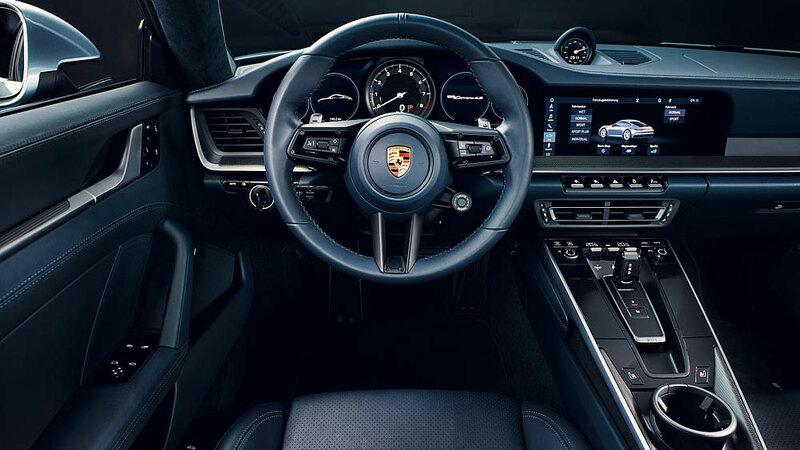 My advice, order one now if you want to enjoy the bragging rights of having the ‘new’ 911 before it’s facelift replacement comes out a week after yours is delivered. This entry was posted in News, Sports Car. Bookmark the permalink. Are US drivers ready to follow Europe’s lead and ‘go electric’?